Emodin is a purgative resin that is naturally found in different plants. However, this resin is mostly extracted from the rhubarb plant (Rheum rhabarbarum). This resin has several potential uses, and some of them include its use as a laxative and relieve the harmful effects of diabetes. Furthermore, emodin is also partially used in the treatment of cancer. Emodin is a natural compound belonging to the anthraquinone family. After the resin has been extracted and dehydrated, it has a dusty yellow crystallized appearance. While this compound is mostly extracted from rhubarb, it is sometimes also acquired from sea-level and Japanese polygon. Traditionally, emodin has been used therapeutically in the form of a purgative. The natural elements present in the intestine decomposes this compound into a simpler substance called algycone, which works as a purgative inside the intestine in two different ways. Firstly, algycone helps control the absorption and release of water in the intestine. Secondly, the emodin strengthens involuntary muscle contractions within the intestine, thus helping the passage of faecal matter through the intestine. Emodin has another therapeutic, but experimental use. This natural element is used to regulate type 2 diabetes. It is believed that emodin is also helpful when it comes to inhibiting the action of an enzyme that induces diabetes. As a result, this rhubarb extract can be useful in governing insulin activity. The scientists also explored the potential of this natural compound as an anti-cancer drug. People who have cancer often succumb to the disease when a localized carcinogenic tumour spreads throughout the body or in different parts of the body. During the studies, emodin has shown some preliminary successes in inhibiting or preventing the spread of carcinogenic tumours in different areas of the body. It is believed that the mechanism of Emodin in preventing the spread of cancerous tumours is the ability of this plant-derived substance to hinder the cell-cell binding, which is essential for metastases and the ability of cancer cells to penetrate other healthy cells, they influence and transport them all over the body. Despite the health benefits of emodin, the use of this compound also translates into a series of adverse side effects. Ironically, a potentially dangerous side effect of Emodin is also one of the many uses of this compound. 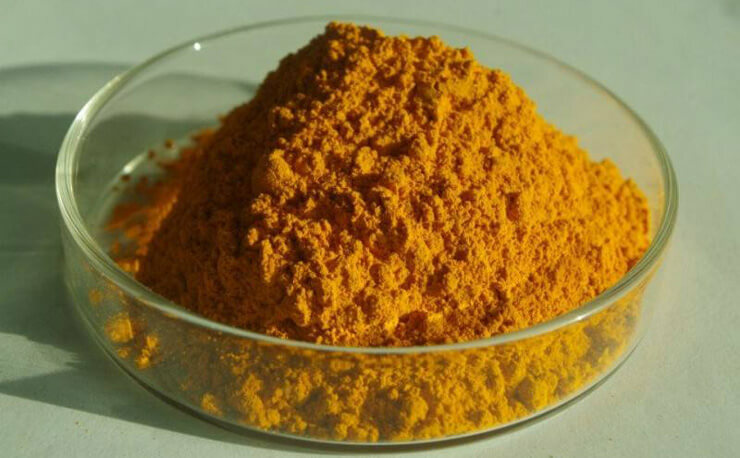 The use of this substance for a prolonged period or the oral use of emodin in excessive quantities may modify this compound from a safe purgative to a chemical that has the potential to cause severe diarrhoea. Therefore, it is advisable never to use this compound as a purgative for a prolonged period or in excessive quantities. The other side effects of Emodinia include vomiting and nausea. Prolonged use of this medicine along with stomach upset can also cause poor appetite. One can bypass the problem of vomiting by taking emodin with a meal or a small snack. Besides the side effects mentioned above, long-term use of emodin or any other anthraquinone has the potential to increase the risk of liver and kidney damage. However, scientists have yet to ascertain the reason for renal or hepatic damage due to long-term use of anthraquinones, including emodin. If a person is taking this compound over the long term, it is essential to monitor the health and functioning of the liver and kidneys at regular intervals. Taking high doses of emodin in the form of a supplement or using this mixture for a prolonged period may cause diarrhoea. So, if this compound is not taken in the right amounts and in the appropriate way, the very purpose of using it could prove to be a problem. Furthermore, emodin has the potential to have a negative effect on our digestive system which leads to vomiting, nausea and stomach upset. At the same time, it is critical to remember that taking emodin for a prolonged period may have a significant adverse effect on our overall health. For example, the chronic use of this compound may increase the chances of developing conditions related to the liver and kidneys. So it is vital that in case you are already taking this medicine, you should monitor these organs on a regular basis, especially if you are using the mixture for a prolonged period. Before starting to take emodin supplement for any medical purpose, be sure to check with your doctor or a qualified healthcare provider to determine if this compound is suitable for you.